Larus cachinnans hybrid 2CY 795P February 06 2006, Chioggia, Italy. Picture: Marco Basso. 2CY backcross or F2 hybrid from central Poland, father known as hybrid Caspian x Herring, mother unknown. 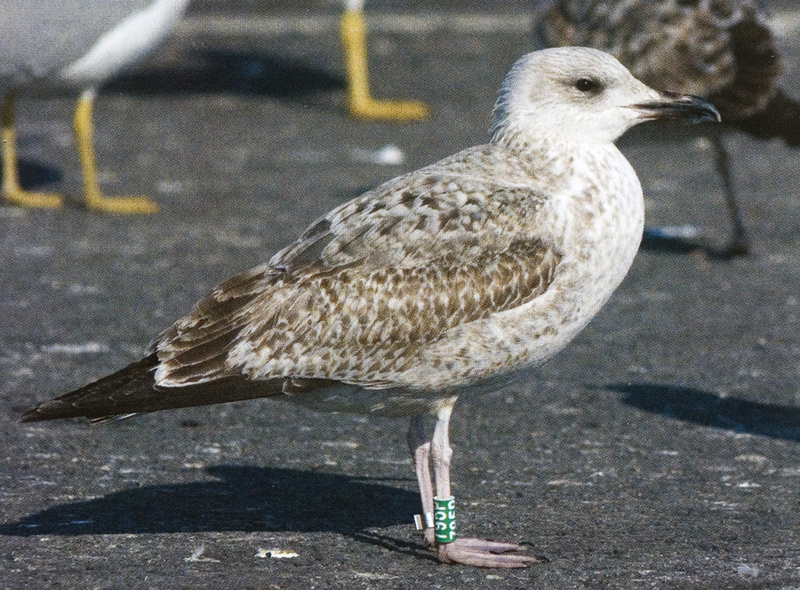 Ringed as a chick on May 20 2005, photographed on the Adriatic coast in Italy, where it spent its first winter It occupies space on the PCA biplot (fig. 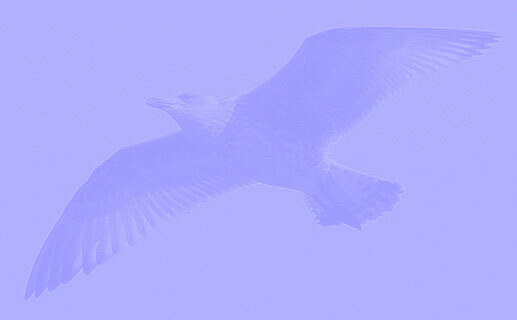 9) which is distant from any Caspian Gull and outside the space occupied by Herring Gull. Its trait score is 27 - too high for Caspian and below that of any pure Herring. Below, table 2 is repeated to score this bird. The scores are in italic + bold. Overall score is 27, which places this bird in the hybrid zone of the spectrum. Table 2. 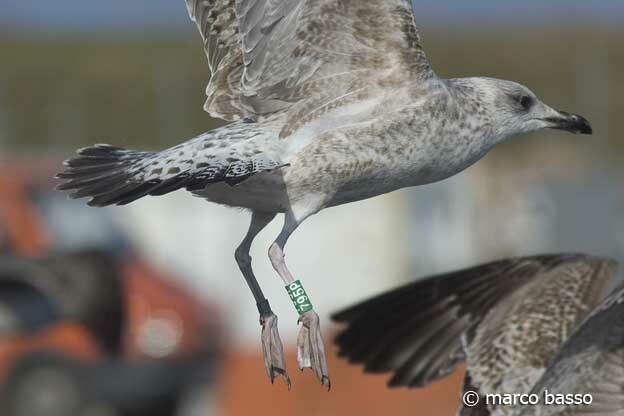 Traits and scores used to characterise birds in first-winter plumage (October-March inclusive).